I met Bijou's family through a past client/friend referral (the best kind!) This is not only a huge compliment to me, but a confidence boost that my client loved our newborn experience enough to share CG Photography with friends! Most newborns can’t make great eye contact. Once in a while I’ll get a baby who can and it makes for a beautiful awake portrait! How sweet are the grey (or is it gray?!) bow and floral crown? I always encourage parents to be photographed. As a mom of 4, I know that the postpartum stage is far from pretty, but the new love between parent and newborn is beautiful! (And a little photoshop doesn't hurt!) I work hard to make the new parents feel comfortable and capture the right angles to get the perfect first family portrait. I often time challenge myself to do something different or creative for each session. I happened to have stunning flowers in the house (thanks hubby) and I knew I had to find a way to incorporate them into the session. How did I do? Hope you enjoyed viewing these images! If you would like more information on having a portrait session of your own, please contact me here. In was an honor to photograph Rebecca Stella and her family in their beautiful home. Rebecca wanted a hybrid newborn session. 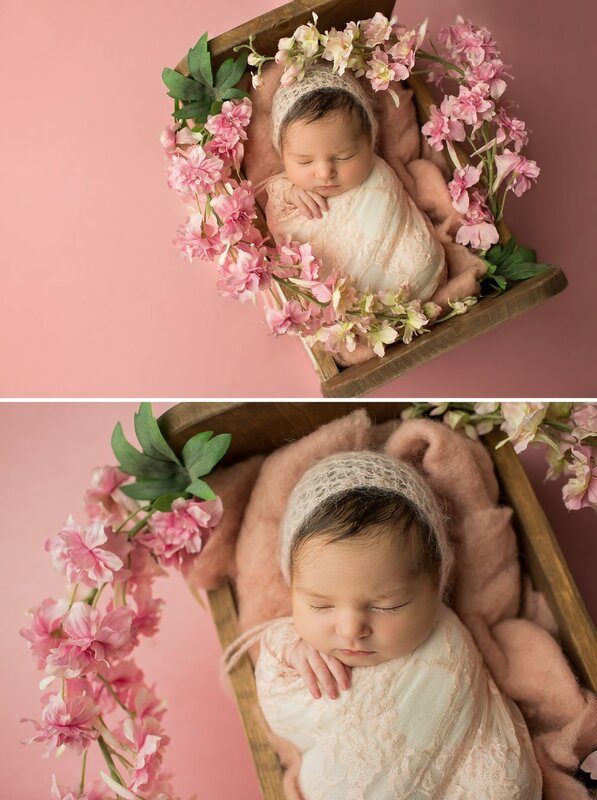 She loves the laid-back storytelling of a lifestyle newborn session, as well as the beauty and creativity of the, posed newborn photography session. So, of course, I was up for the challenge and created a session for Rebecca that would make her dream come true. 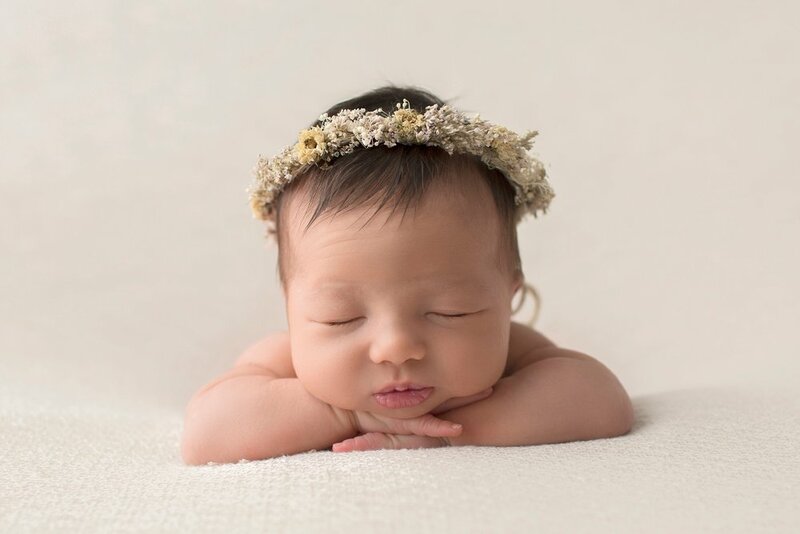 We started with the posed portraits just like I would have done at our newborn photography studio in Hancock Park. Here are some of the beautiful images we created. We tried to use many different colors and create different looks. Rebecca's style was modern and clean and I always do my best to keep the aesthetic of my client. My number one priority is client satisfaction! This means I want my clients to actually enjoy the portrait session as well as enjoy the final result for many generations to come! An extra special treat we had that day was getting to photograph Dion with his grandmother who had come all the way from Sweden. Isn't she so young and stunning? What a precious picture of the three generations. This image will be treasured for many years to come! And of course the classic first family portrait, it doesn't get much better than that! The below picture of Rebecca was shared on Instagram and received over 45,460 likes! That's more than a sold out Dodgers Stadium! I find that super cool. It's such an honor for me to share my art with such a vast audience and to have such a great response! After that we moved on to the more lifestyle documentary images. I love the natural feel and beauty we captured. There is something so special of capturing the beauty of this special time in your own environment. Whether in black and white or colored, having memories that make the beginning last forever is priceless. We had a great time and captured amazing memories for this family! After a long fun day, Dion had enough! I think all of the paparazzi is really getting to him, lol! 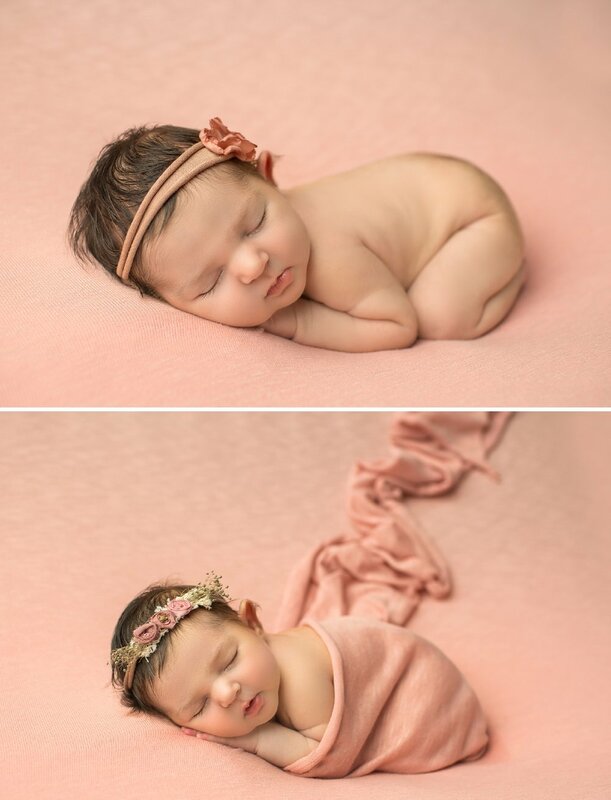 If you are looking for a newborn photographer in the Los Angeles area, you have come to the right place. 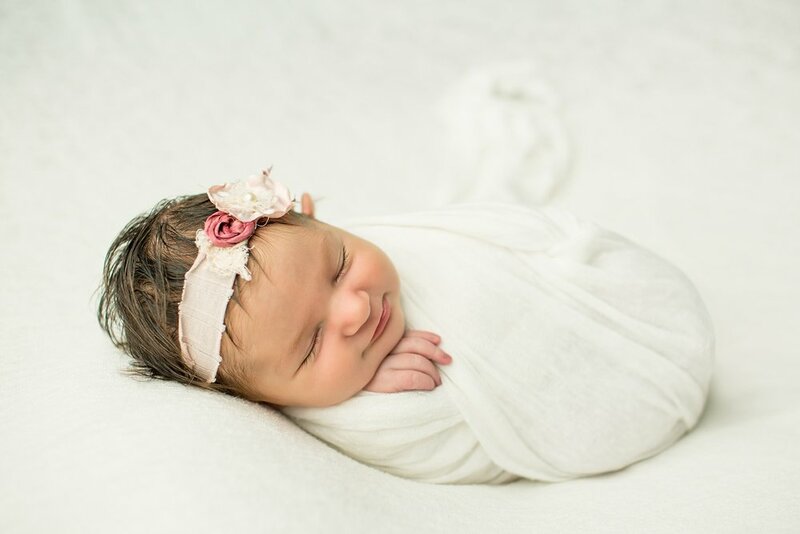 CG Photography specializes in Maternity, Newborn, and first-year fine art portraiture. We are fully booked in April, have 2 spots available in May and only a few in June, July and August! If you are expecting, make sure to book early to guarantee your spot on our calendar. Feel free to reach out soon to hear all about the CGP Newborn Experience. You may have heard this from me before, but my favorite kind of client is a repeat client. When a family chooses to come back to CG photography, to me that means that they love the experience so much they want to do it again. As an artist, I sometimes am critical of my work, and I’m very concerned about giving my clients the best experience ever. Positive feedback, reviews, referrals are all ways that tell me I’m doing a good job, yet when a family comes back again, to me that’s the ultimate compliment! That's exactly what happened with the Chan family. I met them a few years ago at an event in Kidsland and had the opportunity to photograph their firstborn son. Almost exactly two years later, I was honored to be able to photograph their now toddler and his new baby brother. Although big brother was more into his Cars than his baby, we were able to get some beautiful family portraits and brother images as well. I really got lucky with this family. They are so sweet, really laid back, fun to work with and they have beautiful children! 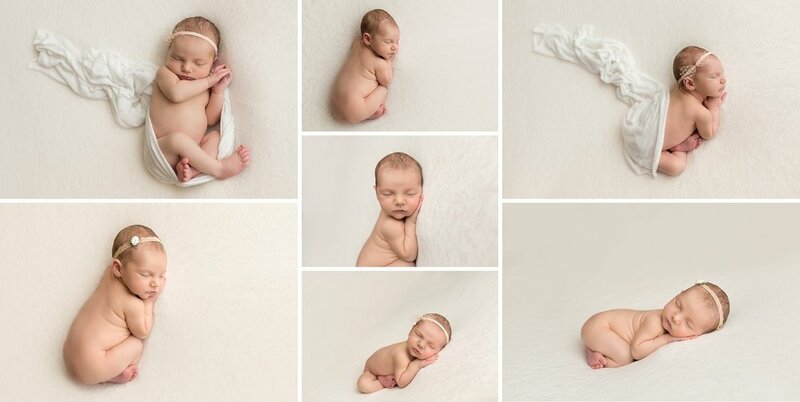 What more can a newborn photographer ask for? Another reason I got really lucky with this family was DAD. There are times when dad is almost as challenging as a toddler (who missed his nap!) They are not excited about the experience or they just have not been enlightened to the beauty of the heirloom portraits that they are creating for their family. (Usually afterward, and at the viewing appointment, these dads come around, and end up wanting the most art!) Yet every once in a while I get a really awesome father who is extremely into it from the start! That was this Dad! He is a police officer, and very hands-on dad and just a really nice guy. Since they last visited the studio, he joined the Army and is now a Chaplain as well! I find it so cool to see someone so devoted to their family and their country! 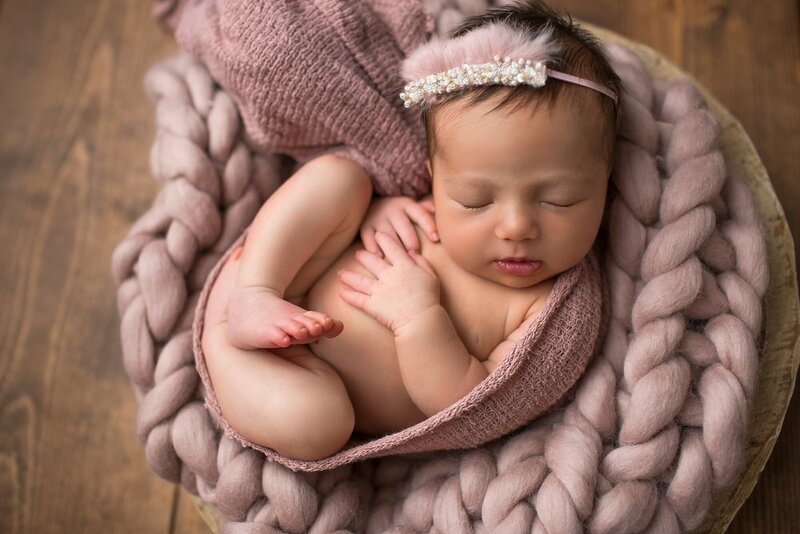 If you are looking for a newborn photographer in the Los Angeles area, you have come to the right place. 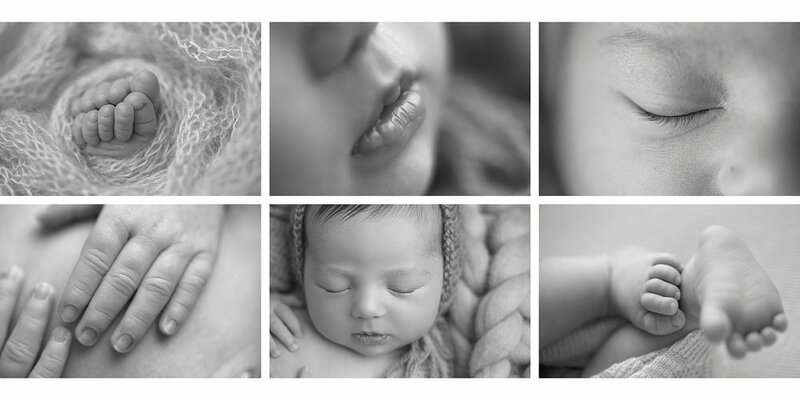 CG Photography specializes in Maternity, Newborn, and first-year fine art portraiture. We are fully booked in April, have only 2 remaining spots for May and quickly booking summer too! If you're due in the next few months reach out soon to hear all about the CGP Newborn Experience and book early! I met Kristen when she was pregnant, and we hit it off immediately! She's a witty California gal with good ole' Southern Charm. 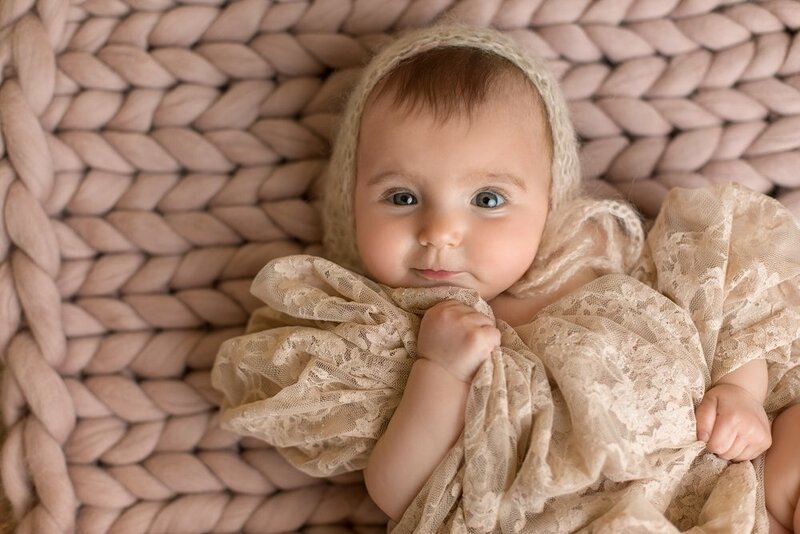 She visited our newborn studio in Los Angeles and was sure she wanted me to photograph her baby girl when she arrived. 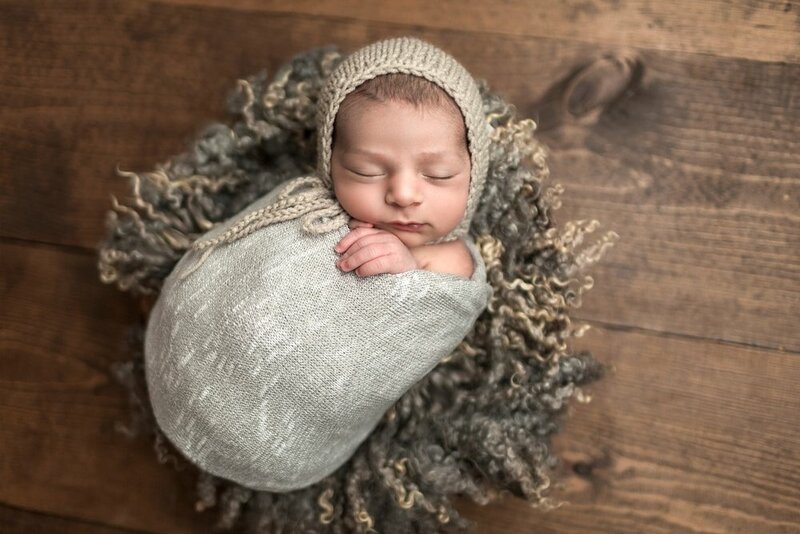 At first, she was hesitant to do a maternity portrait session as well, but as time went on, and with a little help from Dr. Berlin's Real Midwives of Los Angeles, she changed her mind. Here's a sneak peek of that session. She was pretty far along in those images, doesn't she look great?! Shortly after that Beau made her grand entrance! I was so excited to meet the sweet princess and have the opportunity to photograph the new family. As you will see in the images below, we were all so glad to have a girlie and used a lot of very pretty princess colors! I love how they are feminie and soft and she looks great on white as well. Not every baby is able to make eye contact at such a young age. Beau was wide awake and was staring at me. I love these little expressions we captured. Once again, Mommy wasn't sure she wanted to be photographed. I explained how special the beginning is, and how her baby girl will never be this small again. We got her in a few images and she was thankful I pushed her. We created a stunning Italian leather album with all the beautiful images in her gallery. Just a few short weeks later I received this text: "BTW my folks and in-laws are OBSESSED with the albums. Like fall on the floor obsessed with them. Ya did good girl. Well worth it!" I love getting positive feedback from clients! Really makes what I do even more worth it! Are you pregnant? 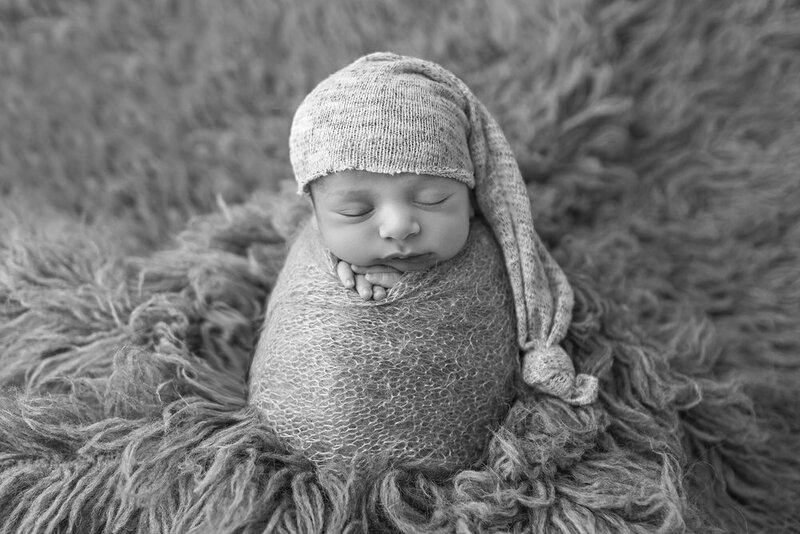 Thinking about scheduling a newborn photo session? Contact me to chat about your vision and dreams. When friends and family announce a pregnancy, there's always joy followed by dread. What gift am I going to buy this time. Another toy, baby product, outfit? All these things are limited. They are used for a short while and then retired. 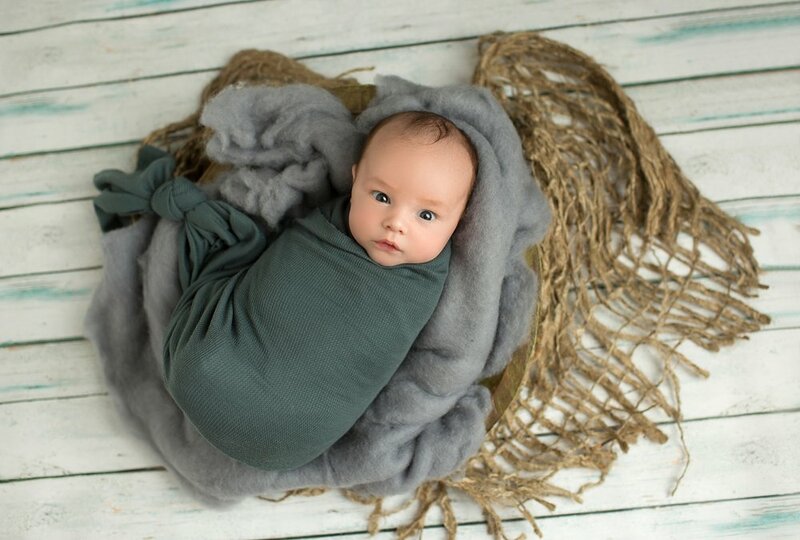 I remember the first time I got asked about gift certificates for my newborn photography. It was from an interior designer who wanted an extra special gift for her extra special client. She told me how this mamma to be already had her house stocked with anything and everything you can imagine a baby possibly needing. She wanted a gift that was out of the ordinary, something super special, something that would last a lot longer than a onsie. I created a beautiful gift certificate for her and her client was beyond thrilled. She loves her newborn portraits so much, she now buys a gift certificate for newborn portraits in Los Angeles, anytime a friend has a baby. She told me how much she loves gifting people with the best gift she has ever received! The little guy I'll be sharing tonight, was from a gift certificate as well. His aunt, an artist herself, found me on Instagram and reached out. She was so sweet, and asked me multiple times to take good care of her sister-in-law and new nephew. 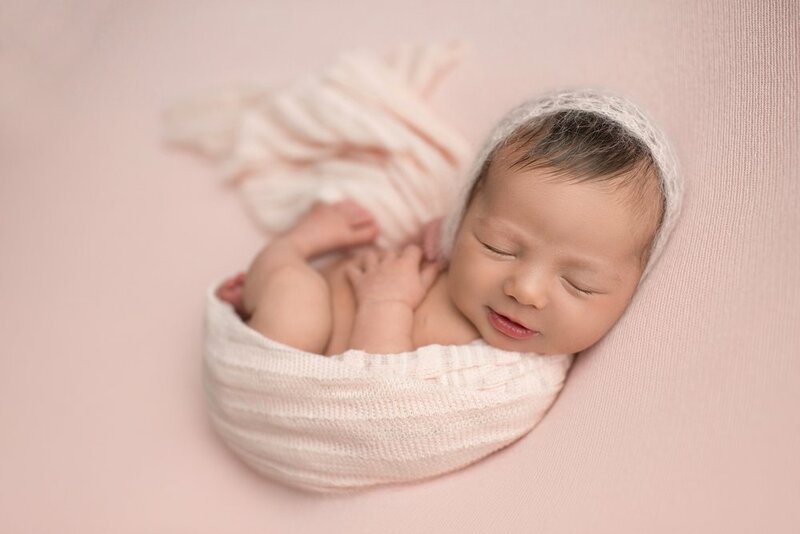 I told her that it's my mission to take amazing care of all my clients, and give them an incredibly calm and enjoyable newborn portrait experience. 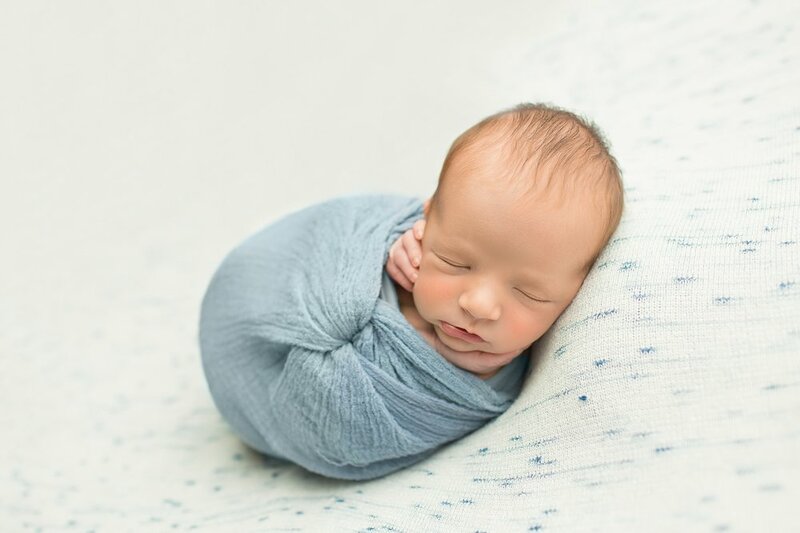 So if you are in the Los Angeles area, and want a wonderful gift for an expecting friend, family member, colleague or yourself, consider a gift certificate for Newborn Photography in Los Angeles. CG Photography specializes in Maternity, Newborn and first year fine art portraiture. We are now booking into June, so reach out soon to hear all about the CGP Newborn Experience. 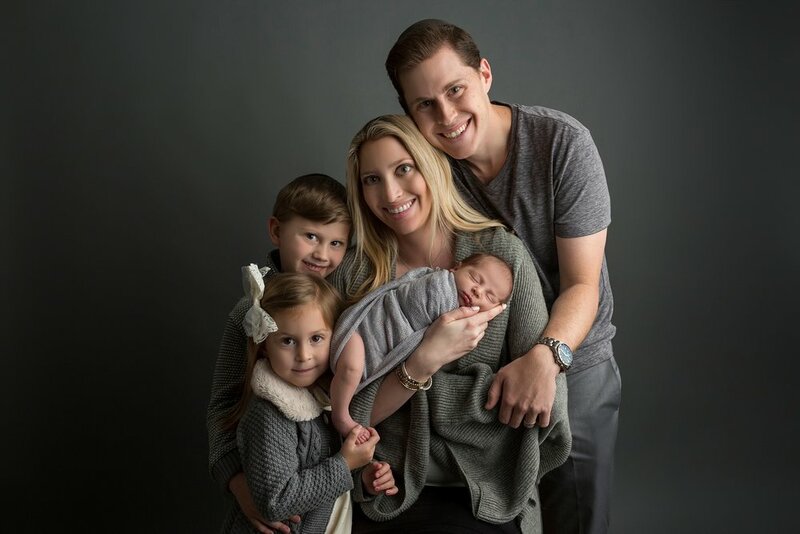 When thinking about this week's blog, I was really drawn to talk about the Lifestyle newborn sessions I offer in Los Angeles. 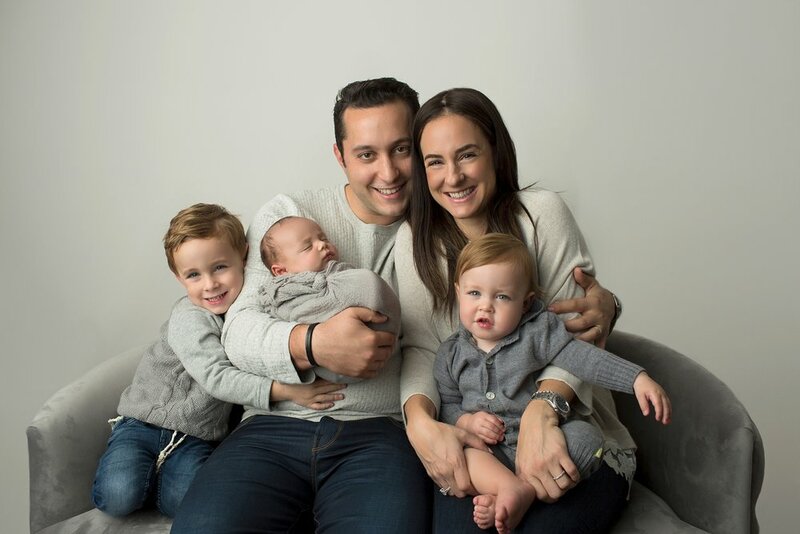 Although most families come to our portrait studio in Hancock Park, there is definitely something special about doing a session in the comfort of your own home. At the studio, we provide refreshments, an indoor and outdoor sitting area, toys and anything else people may need to make them feel comfortable. People love not to have to clean their house, and I have everything needed to capture beautiful, artistic portraits. Yet some people like the session in their home. No travel time, no packing and no taking the baby out. The images are real and tell a story. For some clients, this moves them to tears. My job is to keep you calm, give you an amazing experience and capture your family in an artistic way that you will treasure for generations. I am here for you. Whichever way is better for your family, is better for me. This first family had just moved into a brand new home. With stunning natural light, It was a dream for any photographer, plus having a beautiful momma and baby made the session even better. It's funny that this next family actually lives around the corner from the studio! Mom found me online and we had no idea how close we lived to each other until right before the session. It is great to be able to capture the family in their "natural habitat". An in-home session makes for very genuine images while highlighting the beauty of the home. She had the most adorable nursery set up and they were so happy to document it as well. Another reason to schedule a newborn portrait session at home is furry friends. Sometimes, bringing dogs to a studio can be challenging. I have photographed dogs, and I'm totally ok with it, but sometimes they get scared of the strobe lighting, or a bit too excited with the new environment. This puppy was less than a year old, so this family had two babies on their hands! It was very convenient for them to be able to stay home and have us come to them. Even grandma got to be part of the experience! Driving all the way to the valley was worth it for these guys! Their home was magnificent and their baby was so much fun to play with. I photographed mama K's maternity portraits when she was already 39 weeks pregnant and she literally looked like a model! No wonder she looking amazing just two short weeks later as well. The feeling of images taken in a lifestyle session is very different from the posed portraits done in studio. It's like being a fly on the wall in the first few weeks of life. It's real. It's raw. It's beautiful. Adding a member to one's family is always an adjustment. It takes time to get used to the new baby and for everyone to find their new roles and place in the home. This is especially true with baby number two or three. 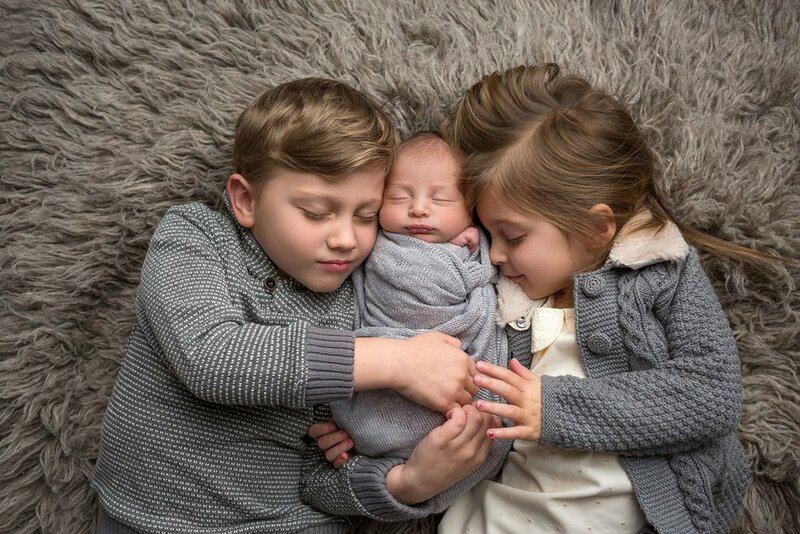 In this particular instance, baby Shai was the third blessing added to the K family in under four years! When I spoke to Alyssa on the phone, she told me she really wanted sibling images with a three and one-year-old. I started getting a bit nervous. Especially because the baby was already a month old. 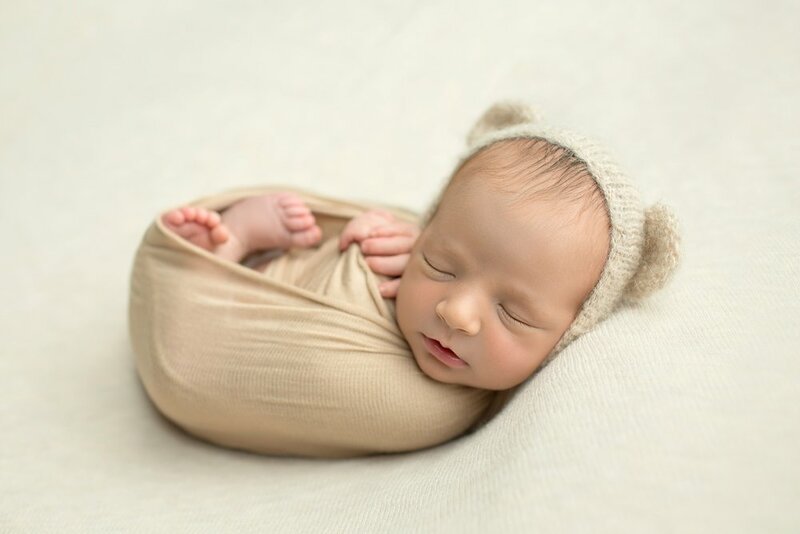 (I usually photograph newborn babies under two weeks of age. But to my surprise, the boys were awesome! (all three!) And did I mention really good looking! Here's the star of the show. He was nearly a month old, yet he slept like......well, a baby ;) how delciosu is he?! 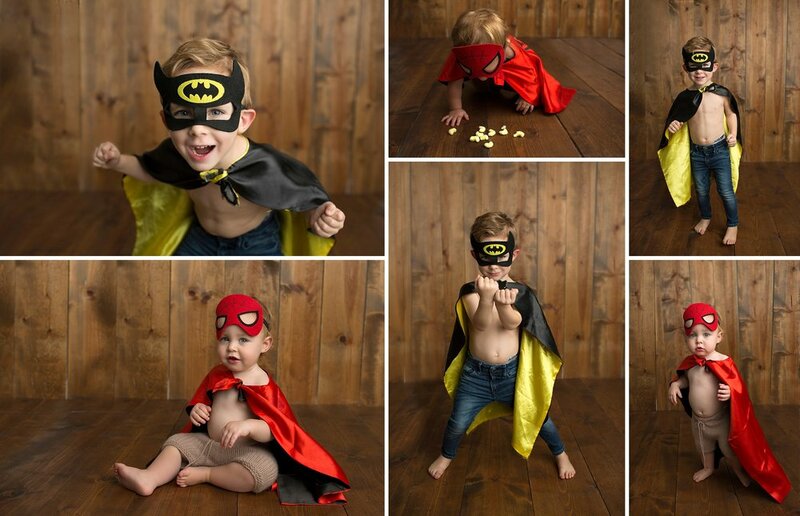 When mom told me her kids were kinda obsessed with super-heroes, we had to incorporate it into the session. These boys are truly awesome!! We even managed to get beautiful family portraits! I was so surprised when I saw the parents. They both have brown hair and brown eyes, and the kids are all light with blue eyes. I never even knew this was possible! I thought two brown eyed people can only have brown-eyed children, but I was wrong. Here's what I found. "Whether your baby will have blue eyes, green eyes, or any other combination depends mostly on the parent's eye color and background. Believe it or not, but a baby can have blue eyes if both parents have brown eyes. Eye color is determined by the parents' eye color and whether the parents' genes are dominant genes or recessive genes. Brown and maybe green are considered dominant, but even two browns can make a blue-eyed baby because there are no 100% definite rules (also called 'polygenic'). So you can only go by a percent. If both of you have brown eyes, then there is generally a 25% chance that the baby will have blue eyes if both of you carry the recessive blue-eye gene. But if only one of you has a recessive blue-eye gene, and the other has two brown, dominant genes, then there is a less than 1% chance of the baby having blue eyes." So there you go! As a kid I never understood the saying "time flies" (20 minutes waiting for a treat seemed like forever). As an adult, especially as a mom, I find myself saying this way too often! Time really does fly. The days may be long, but the years are short. Can you believe we are starting 2018?! This is one of the many reasons I love photographing newborns. They are so tiny for such a short period of time, and capturing that is so special. I get to take a moment in time and make it last forever. That is priceless. As we usher in 2018, I reflect on all the blessings of 2017. I worked hard in my business and am so grateful for how it has grown. 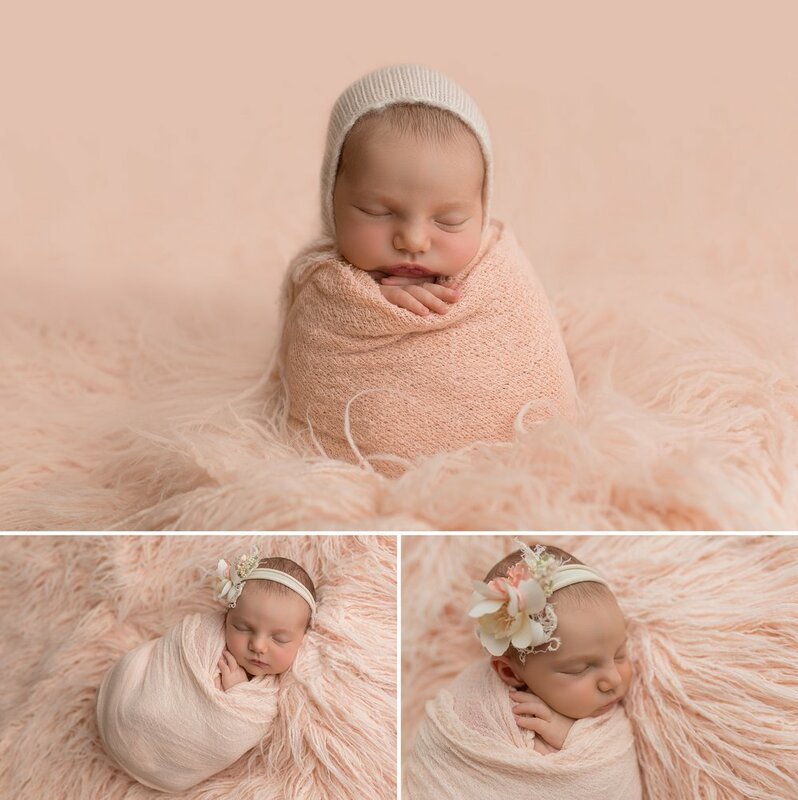 I am proud of the newborn photography studio I have built in the heart of Los Angeles (I'll blog about that another week), the clients I have met and the first moments of love that I have had the honor to document. Here are some of the favorite images from the past year. I have photographed a four day old baby and a ninety one year old grandmother. It's been a year of many smiles and of course some tears. I may have been peed and pooped on more than I care to admit, but it's so amazing to be a part of this celebration of life. I've created wall art, albums and hundreds of heirloom pieces that families will cherish for generations. I am honored to be your storyteller. Little Liev was such a pleasure to photograph! It was a bit of a challenge to calm him, but we did it and he was great! I usually ask for a pacifier to help calm the baby during a session, but because of some nursing challenges his parents were opting not to give it to him yet. I'm always chit-chatting with my clients during the session and getting to know them. When I found out both of Liev's parents are orthodontists, I had another clue why there was no pacifier for this sweet little boy. Liev's mom wanted mostly neutral colors, but we did get a pop of blue in there as well. (Even the blue wasn't bright.) Most of the fabrics we have in studio are neutral and soft tones. There are times we get special requests, and I do my best to incorporate any color parents ask for, but in general I like to keep it gentle. Although he slept for most of the session, he was up long enough to get a couple awake images. Most newborns can't focus, but once in a while we get a great eye contact, and get the perfect shot. 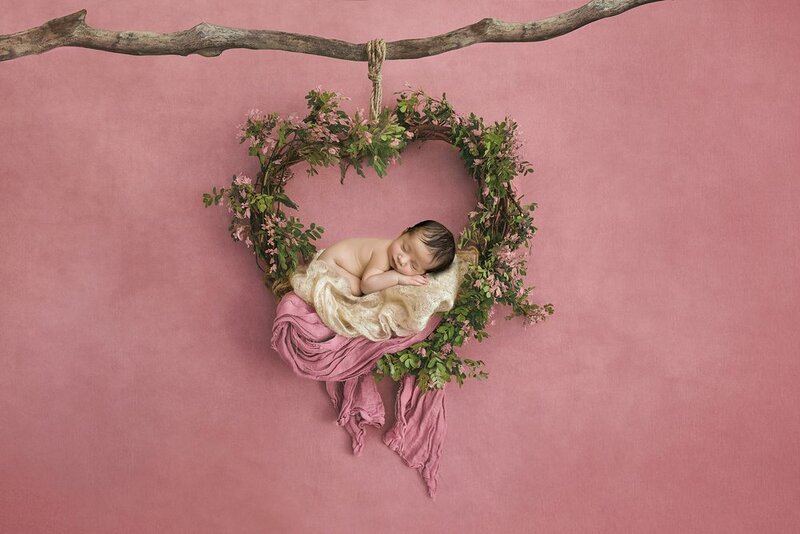 Are you pregnant and researching options for a Los Angeles Newborn Photographer? My schedule generally gets booked several months in advance, so contact me as soon as possible! Tonight is the last night of the Jewish holiday of Chanukah, known as the festival of lights. This holiday also represents miracles above the "law of nature" for a small inexperienced Jewish army was victorious over their mighty Greek enemies. And a small jug of oil that was suppose to last one night lasted for eight! 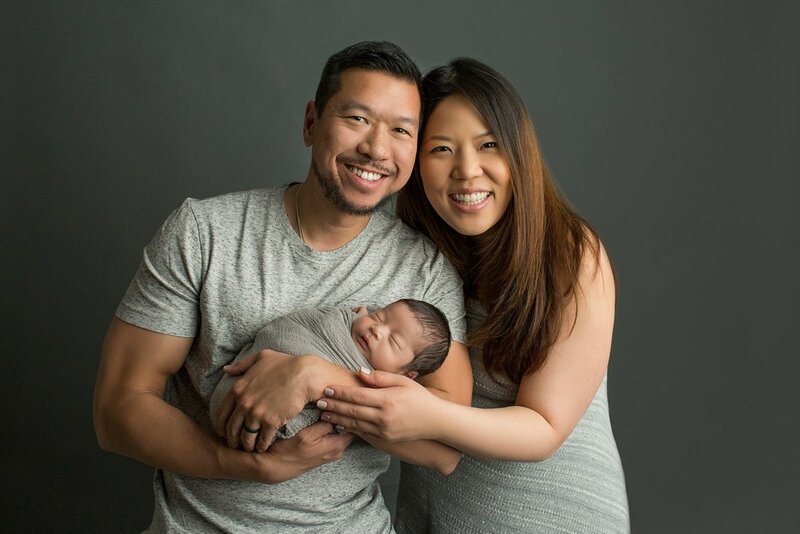 I met Krishna and PK when they were about 24 (or so) weeks pregnant and looking for a Newborn Photographer in Los Angeles. She told me she needed to do her maternity session ASAP because she was pregnant with identical girls who were sharing a sack and she was to be hospitalized shortly for the remainder of her pregnancy. I squeezed her in as soon as I could and we hit it off from the moment we met! We did the maternity session at the colorful Venice Canals, in California. It was gorgeous scenery and so much fun to capture the love between these two. Shortly after the session, Krishna was hospitalized until she was 33 weeks, when her water broke and she was taken for an emergency C-section. Her two beautiful miracles were born! I got to meet Anaya and Sahana when they were already six weeks old. Due to their stay in the NICU Krishna warned me that they didn't love sleeping that much, but I worked my magic and we finally got them to sleep. Once they were deep in dreamland we had lots of fun! Here you see the girls each wrapped in a Dupatta, which is a traditional Indian gown. Krishna wore many dresses in her multi-day wedding, and I had the privilege to photograph her brand new baby girls in them. Going straight to two kiddos isn't easy but these new parents did it with grace! They even had time to catch me in action! Thank you for sending me the behind the scenes image! It was really a pleasure working with this family and they gave me the biggest compliment. They want to reenact their wedding and have me photograph it! Let me know when you guys have some free time ;) Double congratulations Krishna and PK!! 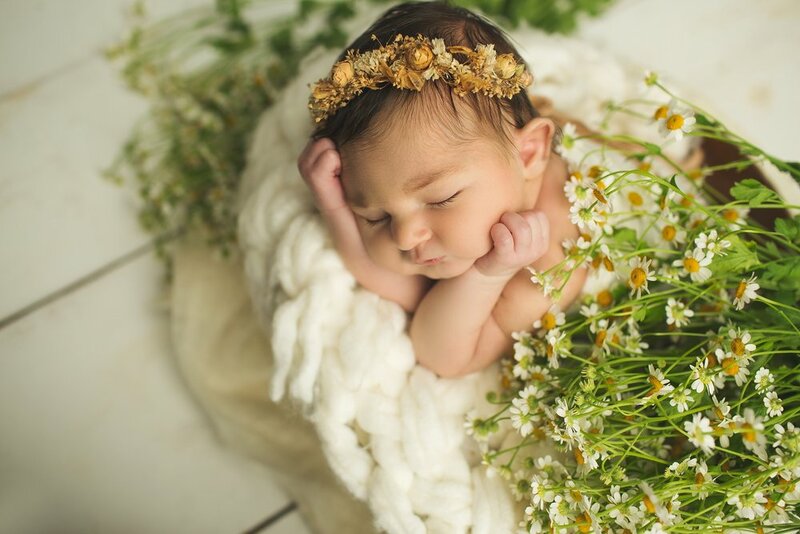 Are you looking for a newborn photographer in Los Angeles? Contact me as soon as possible — during your second semester is the optimal time to plan your baby’s first portrait session! With the new year (Rosh Hashana) comes new beginnings and that of course includes new resolutions. For me, it incorporates facing fears and going out of my comfort zone. For some reason, I'm really nervous about blogging. Putting my words and work out for all to see is definitely nerve-racking, but I've finally decided to give it a try. When thinking about which session would be my first to blog, it was really a no-brainer. Just a few weeks ago, on the Jewish new year, I was walking down my street, only to meet what I thought was a new neighbor with a brand new baby. After a quick introduction, we realized we had been neighbors for years yet this was the first time we had ever met. What a better way to start the year than with a client that was sent directly from God. 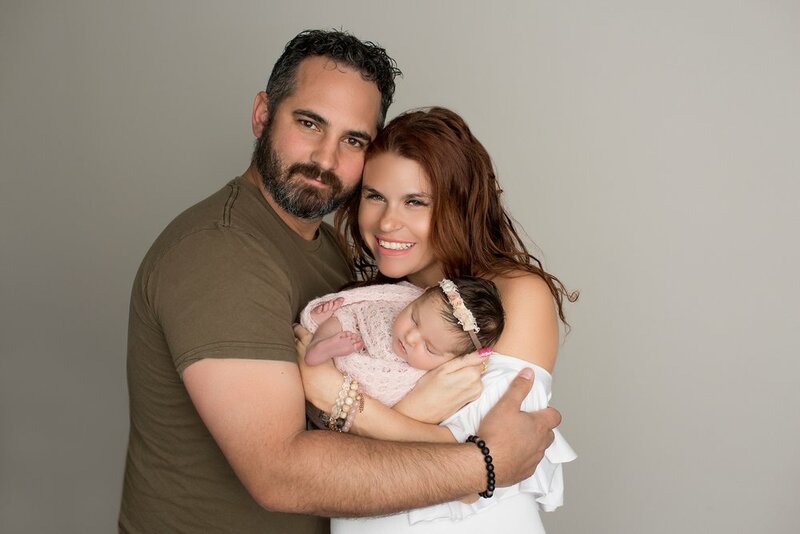 It was so clear that our paths were meant to cross that day and that I would have the opportunity to get to know these special people and photograph and their beautiful baby girl. 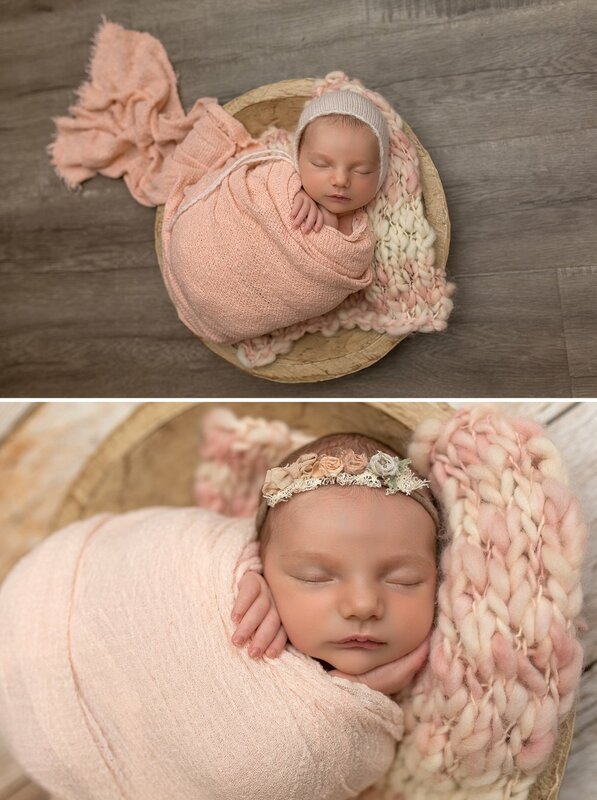 Although I have been photographing newborns for many years, and meet my clients in a variety of ways, this was the first time something like this has ever happened. It was truly meant to be! Without further ado meet baby G!